WASHINGTON — The U.S. office that regulates the commercial space transportation industry does not need the funding increase being sought by the White House next year given the uncertainty surrounding the markets it oversees, a U.S. government auditor told lawmakers May 5. 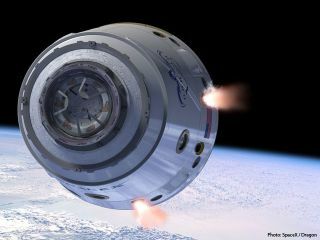 U.S. President Barack Obama requested $26.6 million for the Office of Commercial Space Transportation, part of the U.S. Federal Aviation Administration, for next year, a 74 percent increase over 2010. The raise would enable the office to increase its staff from 71 to 103 next year as it gears up for new services poised to enter the market, including hauling crews and cargo to the International Space Station. But in testimony before the House Science, Space and Technology space and aeronautics subcommittee, Gerald Dillingham, director of physical infrastructure at the U.S. Government Accountability Office, said a more gradual expansion of the commercial space transportation office makes sense given the industry's pace of development. "We have argued that, maybe incrementally based on the development of industry, one could start making that move in that direction, rather than big-bang theory," Dillingham said during a question-and-answer session with lawmakers following his prepared remarks. Dillingham said the market for such services is uncertain. Although 2004 saw significant activity — Scaled Composites-built SpaceShipOne flew three suborbital missions that year — follow-on flights that were anticipated shortly thereafter have not yet materialized. NASA also is funding the development of privately operated crew taxis that are expected to come on line within the next five to 10 years. The Office of Commercial Space Transportation eventually hopes to ramp up to 200 people. "As we look at what we’re seeing now … there's a lot bubbling out in the world right now, and I think we’re about to see a rapid increase in a variety of different parts of the industry," Nield told the subcommittee. Several subcommittee members raised concerns regarding the proposed spending increase. Rep. Sandy Adams (R-Fla.), whose district includes NASA’s Kennedy Space Center, chastised Nield for seeking a significant spending increase in the current budget environment. Both she and Rep. Steven Palazzo (R-Miss. ), who chairs the subcommittee, questioned the FAA’s plan to regulate an industry in its infancy. "How would [FAA] go about the task of regulating an industry that for all practical purposes does not exist yet?" Palazzo asked.